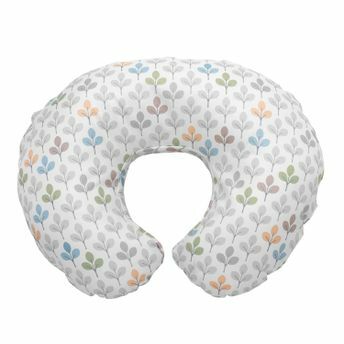 The Boppy nursing pillow is the perfect support for mom and baby during breastfeeding. Due to its specificity and consistency of its padding, it helps mum to maintain a comfortable position, reducing muscle tension in arms, shoulders and neck. The cushion also provides the child the right support, helping to maintain a comfortable and natural position during feeding. Thanks to its padding and a special insert " Miracle Middle Insert", Boppy adapts to the body of the mother and does not lose its shape over time .